The Xbone's connected to the...Hryb bone? 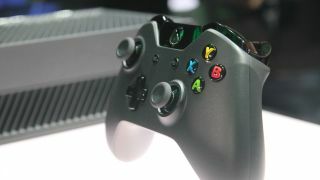 The Xbone nickname has caught on among less-than-satisfied gamers in recent months, and despite Larry Hryb saying he feels the nickname is disrespectful, it seems Microsoft has gone ahead and bought the Xbone domain name anyway. According to the WHOIS records, Microsoft is the proud new owner of xbone.com, which it may have had to shell out a sizable amount for to take it from the previous owner. The record shows that the domain was created back in 2000 but last modified on September 11, which we assume is when the keys were handed over to Microsoft. Make sure you lock down some of our blips!